I think you are right! Should have just opened my eyes, the Matich is similar to all the other earlier shots of it. Thanks for picking it up, caption changed. I don’t believe that Kostera was “5th in the ATT at Phillip Island in 1975” as the 1975 Australian Tourist Trophy was for Production Sports Cars and was held at Calder. I think you may be referring to the single race 1975 Australian Sports Car Championship which was held at Phillip Island. Quite right, will fix it. I remember the ’75 race so well, a terrific weekend! Great photos & memories.After I passed Lionel he did not catch me & I went on to win the race, having out-qualified him & Don O’Sullivan ( 5L Gardos ) in practice. Great to hear from you, thanks for making contact. What amazing cars they were and are. I was fortunate enough to see both you and Henry race a number of times- then one of the cars, yours? went to Greg Doidge in Victoria, he certainly made the thing fly too in regular appearances on the Victorian circuits. Any driving impressions you would like to share with us? 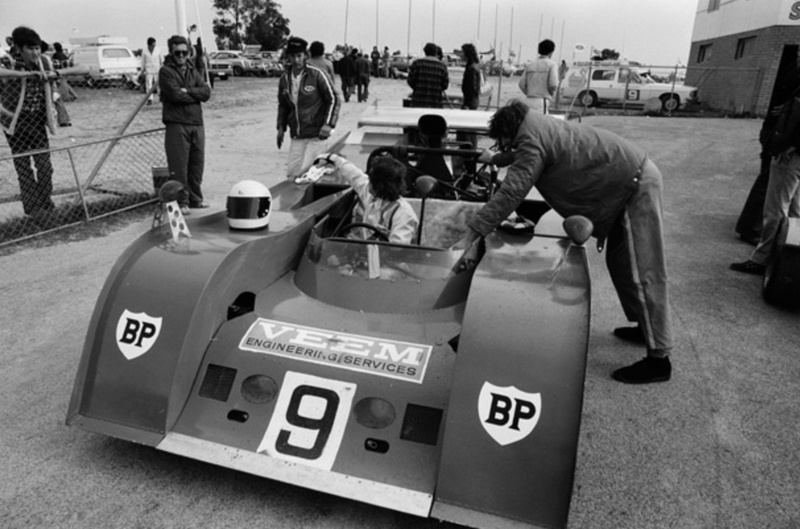 Just a point of interest re Lionel Ayers missing out on winning the 1974 Australian Sports Car Championship. I had some memory of him meeting misfortune during the course of the series and found the details in the 1975 Edition of the Australian Competition Yearbook. It seems that, after winning the first two rounds he broke both arms in a low speed motorcycle accident and promptly retired from motor racing and sold the Rennmax. As you have said, Garry Cooper then won the final two rounds and Henry Michell took the title in an Elfin 360 Repco. I’ve got those annuals somewhere!- too many moves and too much stuff lost. That explains a lot, I thought it odd just looking at Wiki that he scored no more points- I put it down to unreliability. Thanks muchly- I’ve changed the wording accordingly. Love too see any photos of the Gardos sporty thru that era – as many body changes as the Kostera Matich. Loved those SA invaders in Moore & Michell, thanks guys. Photos of both Gardos’ are rare! Having researched the article there should be some by ‘snappers @ Wanneroo as the cars raced there more than anywhere else. From what I can gather the Gardos ‘M8D’ body didn’t change from the time it was built- the body I saw @ P Island in ’75 was the same as that raced by Barry Singleton before it left Oz in the eighties. The Gardos F5000 body did change as the article shows. Terry Walker posted on the Speedwest site a version of the Gardos I had never seen, unlike the McLaren body of the Singleton era. Perhaps Rob Hagarty can help. Looked more like the SR3A above dated 1975 & 76, the ‘ugly as sin’ version. Same gentlemen may be turn up photos of the McLaren LT170 – where is it these days. I’m back in the West in 3 weeks so will ask Ken Irvine about that guy then. WA scene is interesting especially the ‘Round The Houses Era’. Roger that, Ken Devine & Terry Walker have an archive. Comparing the shot captioned “Bob drives and Harves carries the booty. 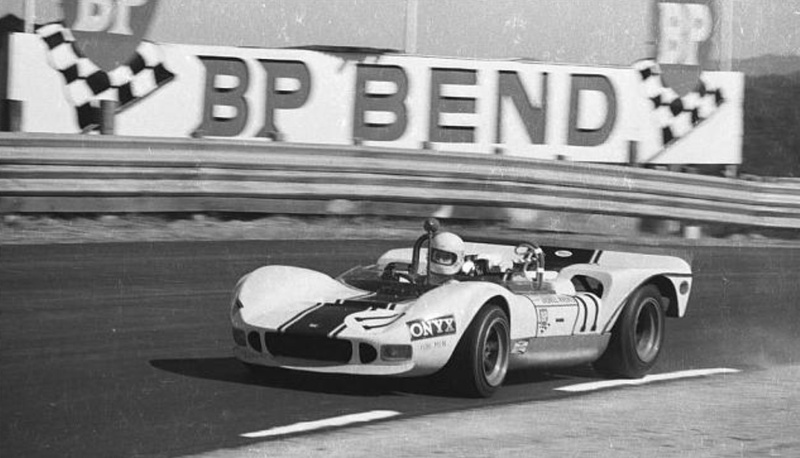 McLaren M6B Repco, they have just won the final round of the 1972 Australian Sportscar Championship at Symmons Plains on 12 November” at https://primotipo.com/tag/john-harvey/ with the image above captioned “John Harvey in the Symmons Plains paddock, McLaren M6B ‘740 Series’ Repco V8, November 1972”, I see that the exhaust pipes appear to be mounted much higher in the latter. Checking back through the 1972 ASCC shots in Racing Car News it seems that the high mounted exhausts were used at Phillip Island and AIR and the lowered design from Warwick Farm onwards. I have some recollection that CAMS forced the change but I don’t have any reference to this. Could the image on this page actually be from earlier in the season than Symmons / November? The sporties only raced at Symmons once that year, I suspect it’s correct. No idea whether they had a spare engine?